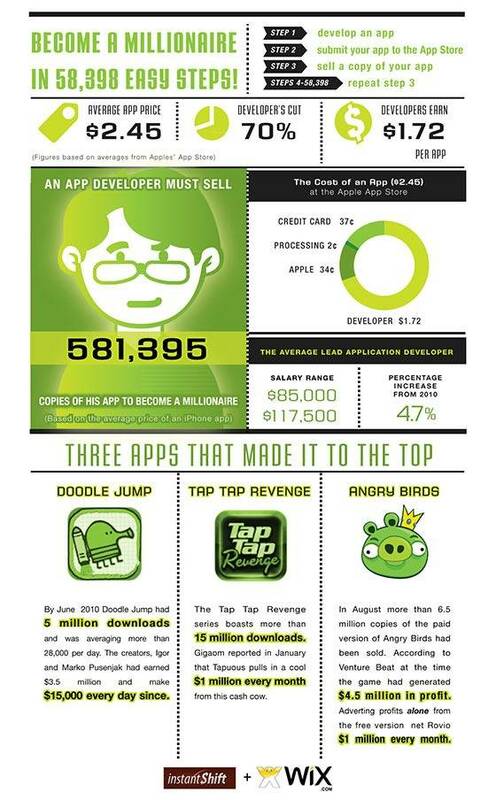 By now anybody that have used and iPhone, iPod or iPad knows that app developers are making thousands of dollars. of Course not every app developer is a millionaire, but since the opening of app store in 2001 it made iPhone apps the new Gold rush. Of course now with the millions of apps in the app store it has become allot harder to make it through and it's not getting any easier, but don't let it discourage you because our friends at www.instantshift.com made a nice illustrative infographe to show you how to become a millionaire in 581,395 downloads only!